Bring water and rice to boil. Add chicken stock, boil again and simmer for about 20-30 minutes to make congee. 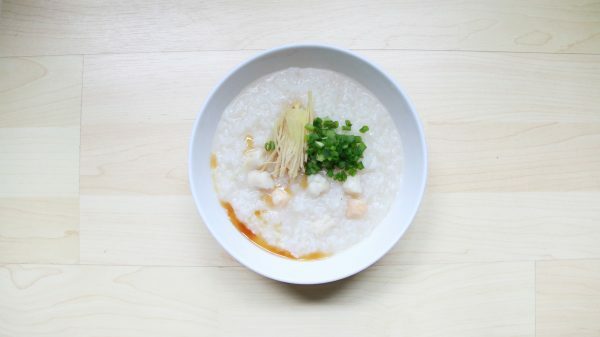 When congee is ready, add scallops to cook until done. Garnish with shredded ginger and spring onions, add a few drops of sesame oil for taste. Using a claypot, stir fry garlic till fragrant on medium heat. Add in the dark soy sauce, chicken stock and glass noodles, bring it to a boil. 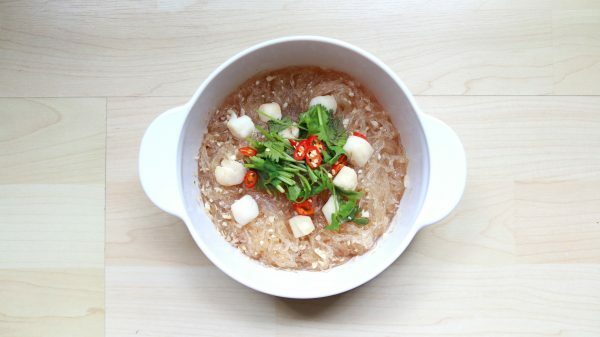 Arrange the scallops on top of the glass noodles. Cover claypot with lid and simmer for 3-5 minutes. Garnish with coriander and chilli padi. Saute the asparagus with some butter and garlic, season with salt and pepper. 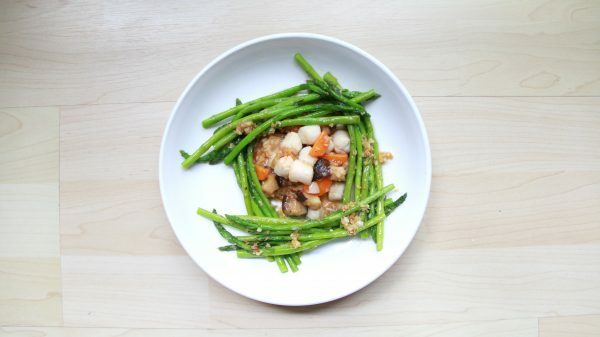 Remove asparagus from pan, and saute mushroom and carrots with some garlic. Add abalone sauce with water and let it simmer. Add the scallops and stir fry till cooked.